February 3 marks the beginning of the Chinese New Year celebration. The festivities last 15 days so you can pick a day in the next two weeks to try this craft and read some books with your little one. 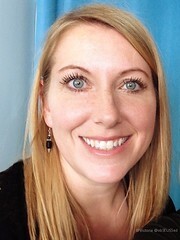 I am the room mother for my daughter's first grade class this year and her teacher wanted to celebrate the Chinese New Year with a class party. 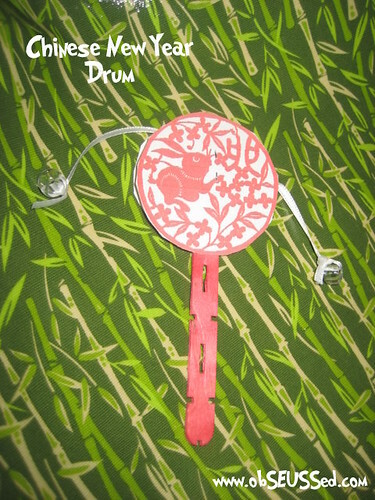 I wanted to bring my toy Chinese drum that I got in China Town in San Francisco but the strings broke off when the kids played with it this past year, so I came up with a way to craft some the kids can take home. I found this beautiful image of a rabbit with a red Chinese design at the Indian Chinese Association. Then I found some Chinese calligraphy cards at Activity Village. Let children look at the writing and try to copy it onto the back side of their drum. Depending on their age, help them a little and label it with the English word so others will know what it means. This is a great activity to show how beautiful and complicated Chinese writing is. Print the Circled Rabbit design on card stock (I copied and pasted it into Microsoft Word making it about 2.5 inches in diameter). 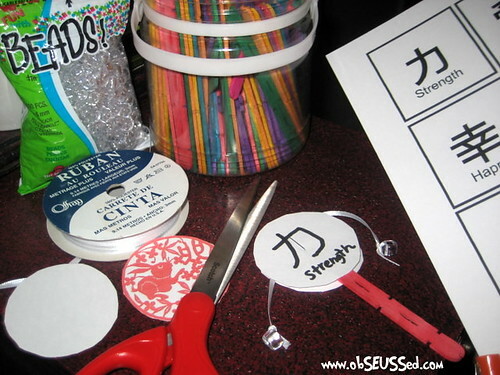 Print the calligraphy cards on normal paper so the kids can look at them as an example- or on card stock if you want to use these as the back of your drum. 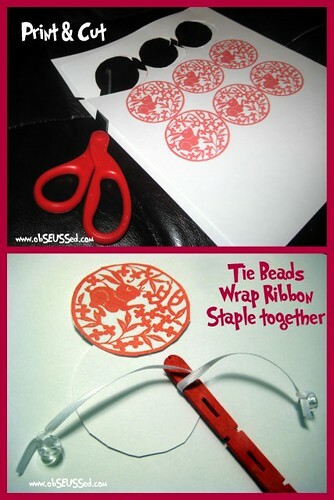 Cut the Circled Rabbits and one blank circle the same size out of card stock. Tie a pony bead in a double knot on the end of each ribbon. Wrap the middle of the ribbon around the popsicle stick one time. 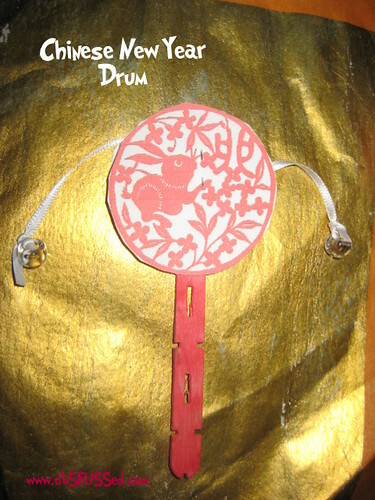 Put the ribbon and stick sandwiched between the front and back of drum. Staple the outside of the blank side of the drum right on top of the stick and ribbon to help hold it. Now your kids can twist it back and forth to make sound. Have them try drawing the Chinese calligraphy on the blank side of drum before or after you assemble it. Update Feb. 10: My friend Debbie made some drums using the calligraphy cards. 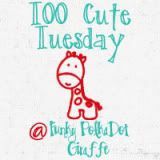 Visit her blog, Cranberry Fries, to see how cute they are. 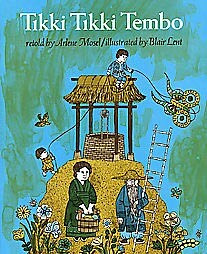 One of my favorite books, that I remember my elementary school librarian reading to us, was Tikki Tikki Tembo, by Arlene Mosel, illustrated by Blair Lent. Is is about two little Chinese boys who fall down a well but one has a short name and one has a long name. It is so fun to read out loud to your kids. It has a great rhythm and is very repetitive so the kids enjoy chanting along. I also checked two books out from our library to read to the class. My First Chinese New Year by Karen Katz (see Amazon link below) is nice and quick with bright colors and a nice overview of Chinese New Year festivities the kids will enjoy hearing about. Happy New Year! (Kun-Hsi Fa-Ts'Ai) by Demi, (Amazon link below) has great illustrations and more details about the history of the holiday. This one would be good to sit down and have a discussion with your kids as you read. And, last, but not least, is another classic Chinese story. The Empty Pot, by Demi. 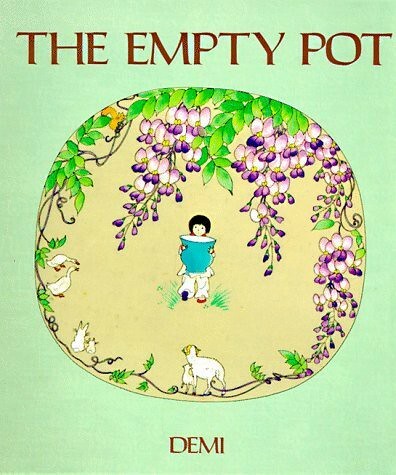 This wonderful folk tale is about a little Chinese boy who was honest about trying to make his seed grow, but nothing happened because he was given a trick seed by the Emperor. He presented the empty pot to the Emperor and was rewarded for his honesty. A great collection of books can be found at the blog American Born Chinese Children's Book Alley. 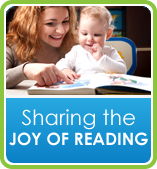 A few more blogs with great Chinese New Year books are: School Library Journal, Colorin Colorado, Pragmatic Mom. I will have to make some of these. My little boy loves playing with them. This is great! My kids will be so thrilled to have another craft tonight! 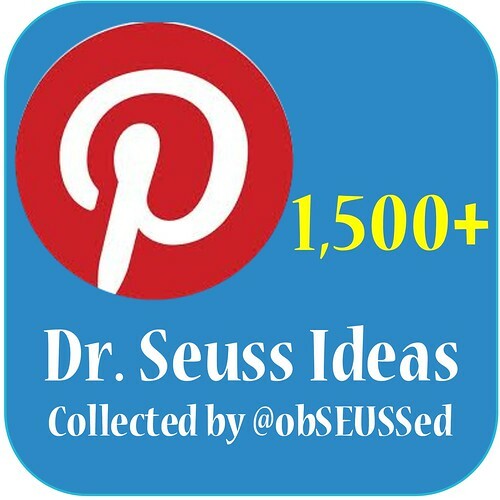 Great books and activities! I've bookmarked this to do next year!